Believe it or not, the history of Nintendo starts in Kyoto as far back as 1889 with a card game known as Hanafuda, and it was not until 1974 that the company broke into video games by purchasing the Japanese distribution rights for the Magnavox Odyssey video game console. 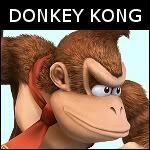 The company expanded into the video arcade game industry the following year, but it finally established its position when the then little-known designer known as Shigeru Miyamoto designed Donkey Kong, the first of the massively popular arcade games entirely designed and marketed by Nintendo. Nintendo engineer, Gunpei Yokoi, was responsible for hardware development and came up with the Game Boy in 1989, offering Miyamoto a fabulous platform for his software development. In fact, the Game Boy is Nintendo’s most successful games platform of all time. But what was Atari doing all this time? Atari was inaugurated in the USA in 1972 by Nolan Bushnell and Ted Dabney, who developed the famous Pong tennis game using a black-and-white TV, a laundromat coin mechanism and a milk carton to collect the coins. In fact, at one time the game seized up because the carton got over-filled with coins, blocking the mechanism. They developed the rest of the hardware themselves in addition to the game software. 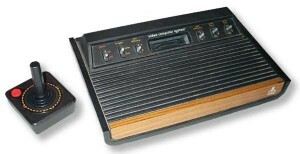 The company then branched into the developing home computer market with the Atari 2600 that rapidly developed into the 800 and the smaller 400. These were perceived by many as more advanced than the Sinclair Spectrum, but the company was running into difficulties, probably due to its rapid success and a lack of business acumen. The Arcade, Home Computer and Video Game Divisions were operated as independent units, and there was very little cooperation between them. It might have been better had they been integrated, with each working for a combined cause. A poor version of PacMan resulted in large losses, although by 1982-83 Atari led the video game market everywhere but in Japan. 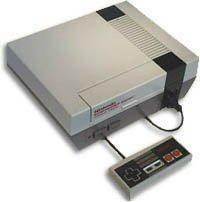 Nintendo was by this time in the ascendancy with its Famicon system, or NES (Nintendo Entertainment System) in the USA. This was followed by the Super Famicon, then Nintendo 64 in 1996. Although the 64 was not very successful, the 2001 GameCube was even less so. It was not until the Wii was released in 2006 that the success of the GameBoy was at least partially emulated. As for Atari, arguments of the distribution rights of Donkey Kong were the last nail in the company’s coffin and it was effectively finished in 1984. So what games will Atari be remembered for? What are the classic Atari games that people will be looking for as collector’s items? Pong consoles, obviously. The original consoles were large, around the same size of normal slot gaming machines. These include Asteroids, Battlezone, Crystal Castles and Gravitar – all large console-based in their original form. Of the games produced for computers or hand-held devices Yar’s Revenge was an original Atari 2600 game, and Adventure was the original adventure game. However, not all sell for over $5000 such as the ‘The Music Machine’ that fetched that on eBay. Nevertheless, if you have a copy of Pepsi Invaders (125 copies made) or Video Life (made for Magicard owners only), then you have a good chance. Classic games are not rare: rarity comes from special editions and games developed for restricted distribution, and they do not become classics! However, Atari was ephemeral in comparison to Nintendo, so could any Nintendo games be rare enough to become worth collecting? In fact, several produced in the 1990s could be worth a bit today, including ‘1990 Nintendo World Championships: Gold Edition’, possibly up to $20,000 and ‘Nintendo Campus Challenge’ is worth a few grand. Lower priced, but still worth finding are ‘Bubble Bath Babes’, ‘Hot Slots’ and ‘Cheetah Man II’. ‘California Raisins’ is worth a bit, but many copies of these are already in the hands of those that are aware of their value. If you want to find a bargain, you are likely to be more successful trawling the junkshops and flea markets than searching online or in specialist games stores. You will be very highly unlikely to find classic Atari games of any real value in popular outlets, and the same is likely true of vintage Nintendo games. Nintendo produced many more console and computer games than Atari, and you could conceivably be lucky at garage sales, flea markets, estate or moving sales and the like. Once you find an old game you think might be worth something, check out eBay and find if any other copies are for sale. If not, then make sure you have some idea of its potential worth before listing it: you could sell a $10,000 game for $1.99 if you are not careful. Now that wouldn’t be good, would it? So get acquainted with the history of Nintendo games and of classic Atari games, and make sure that you know what you are doing buying or selling these potentially very valuable items. I sure wish I had an original Pong console! But I might know a man who . . .